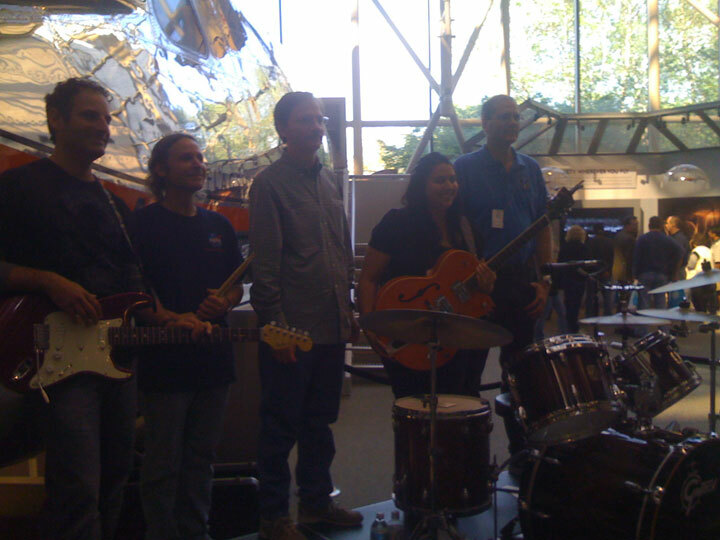 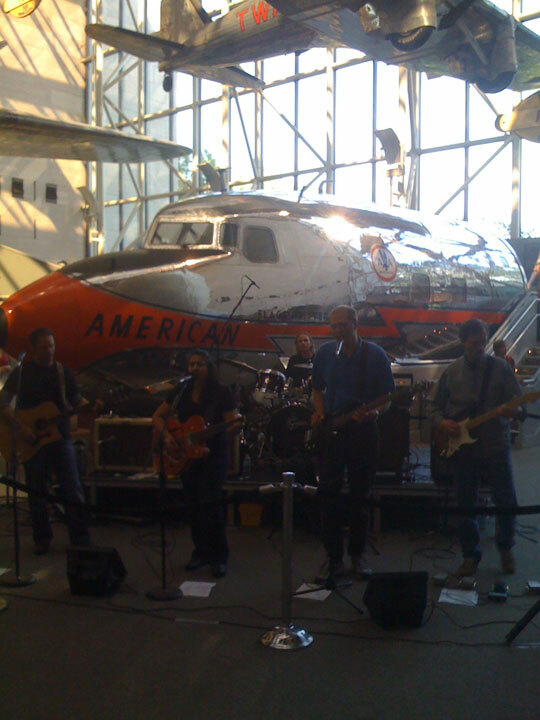 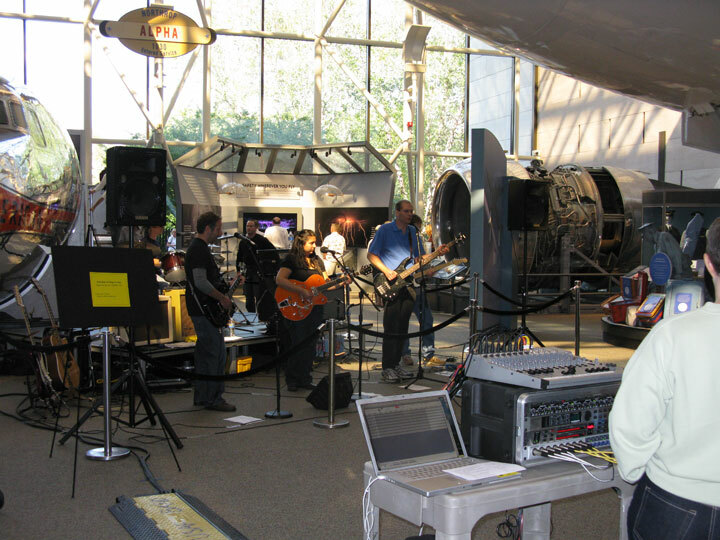 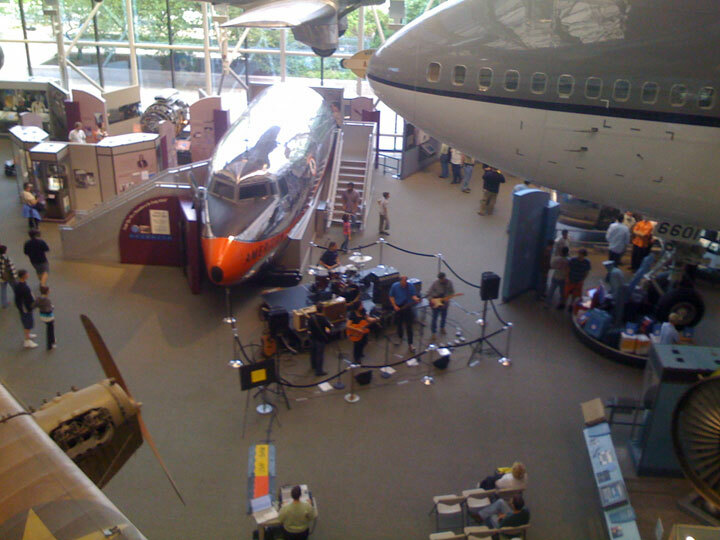 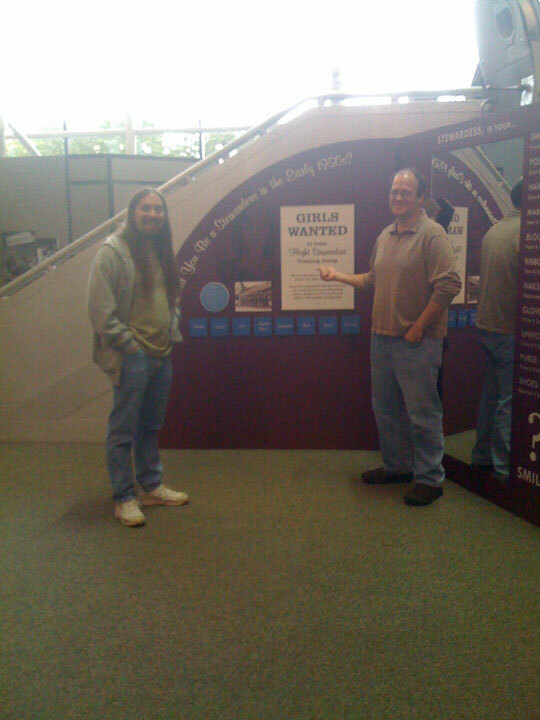 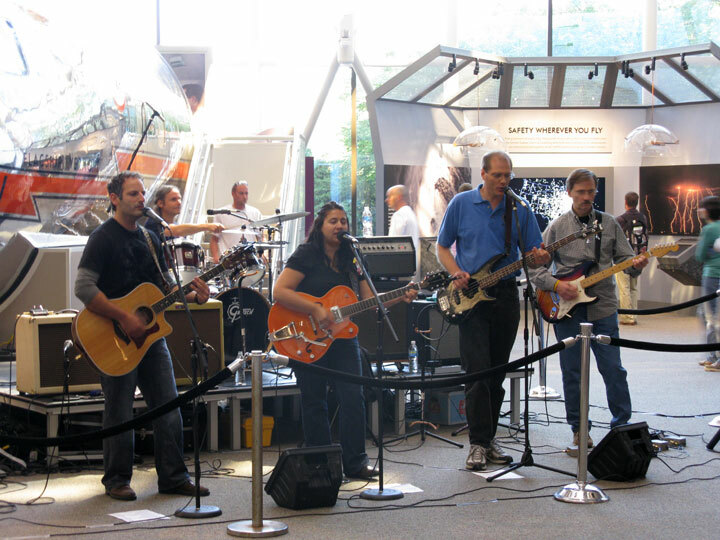 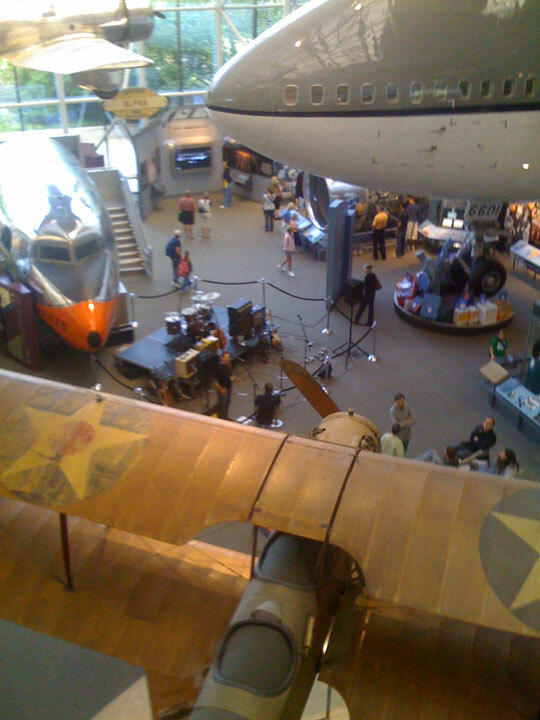 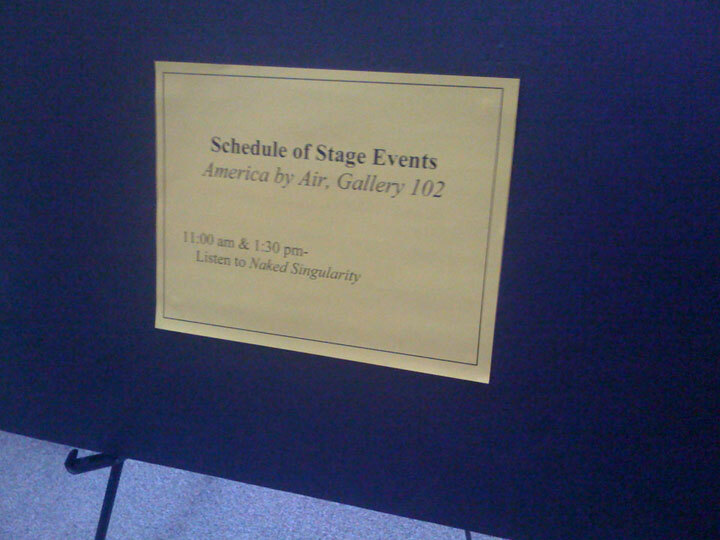 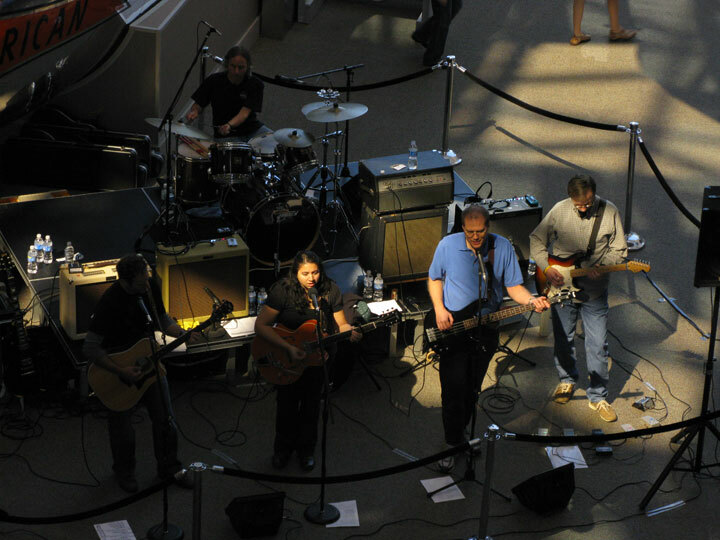 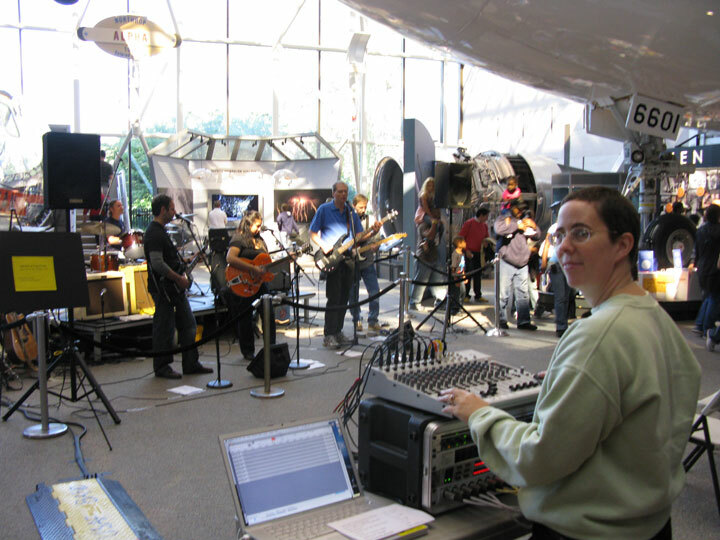 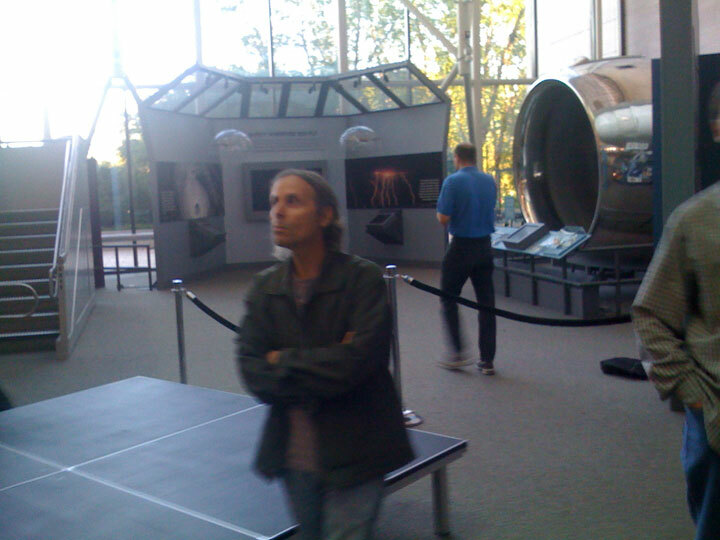 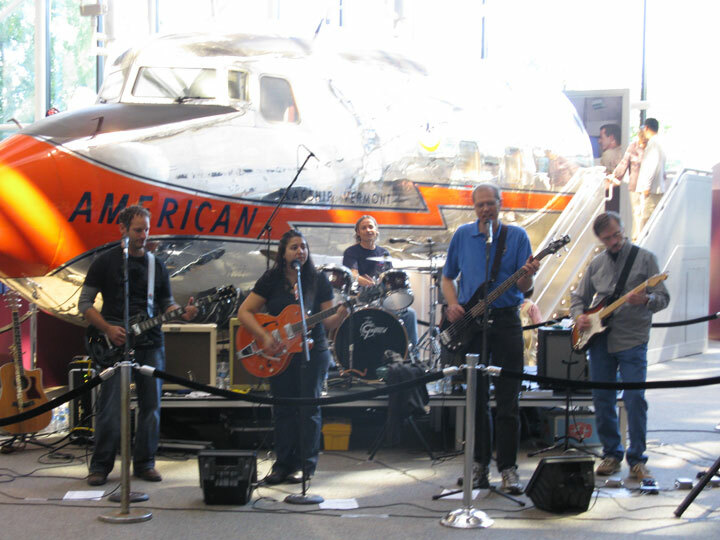 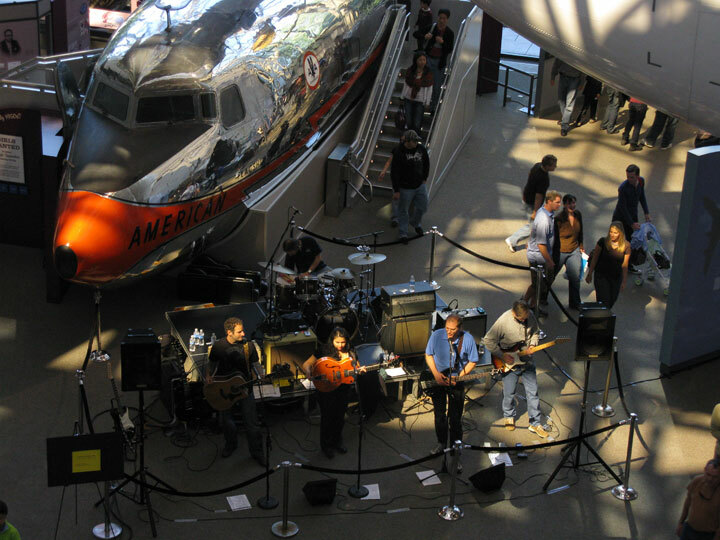 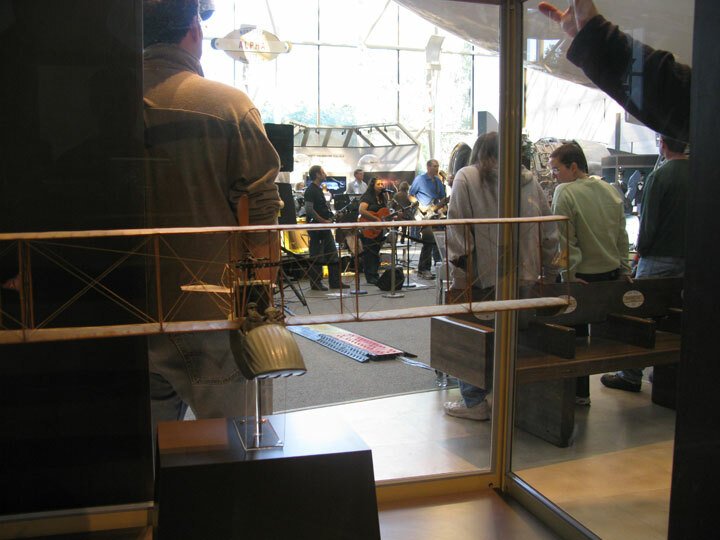 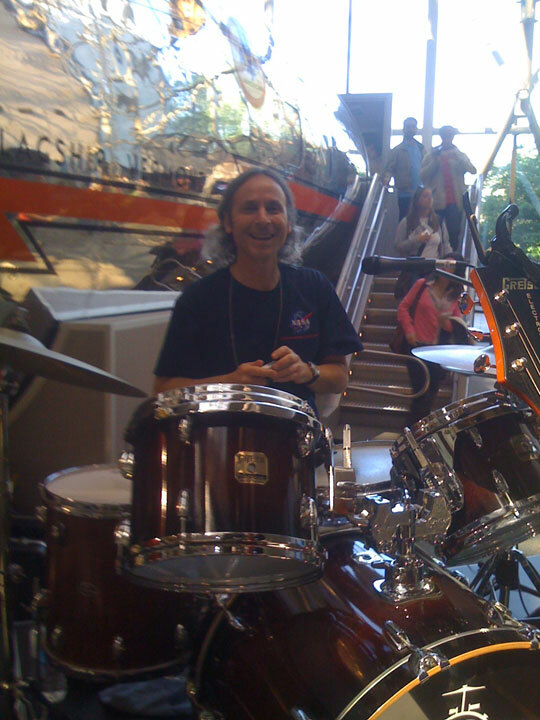 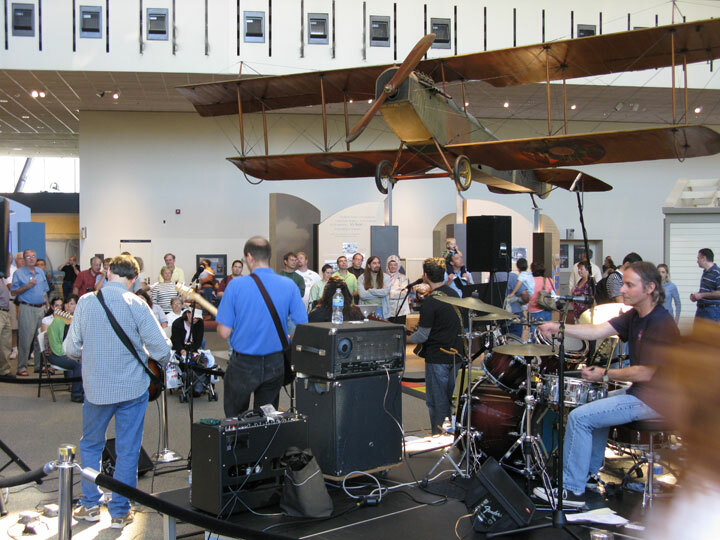 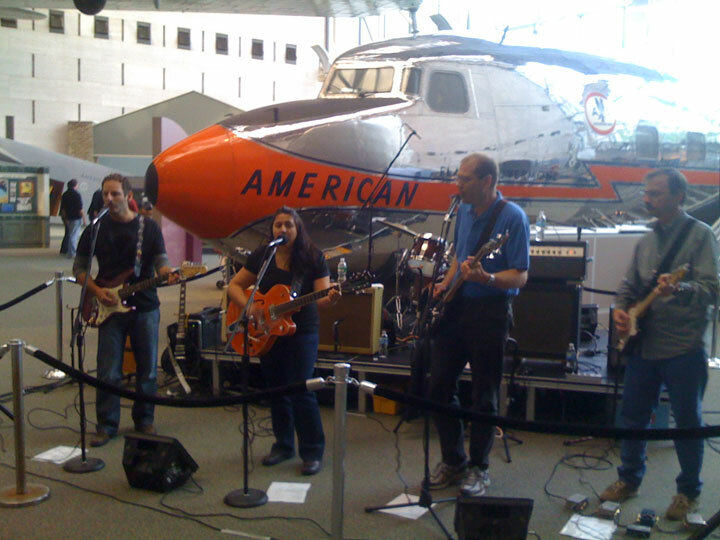 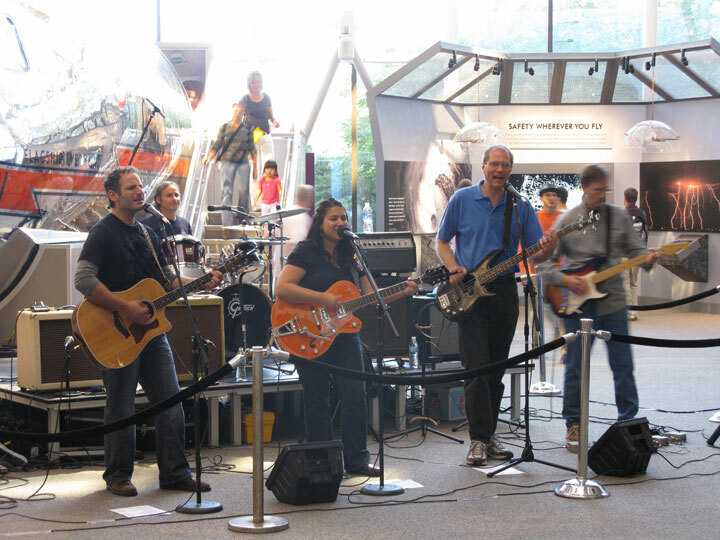 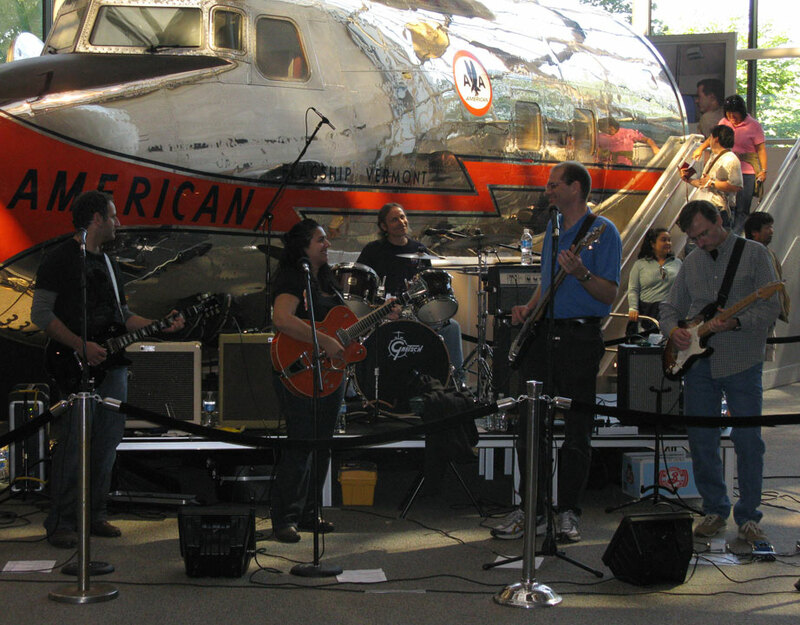 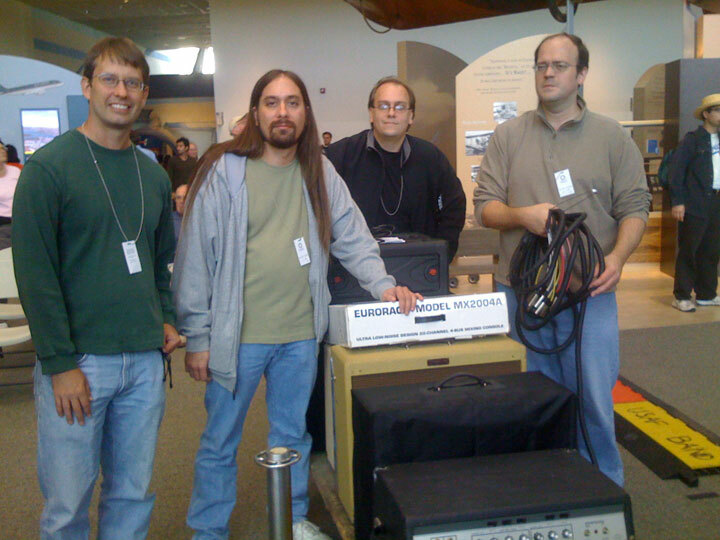 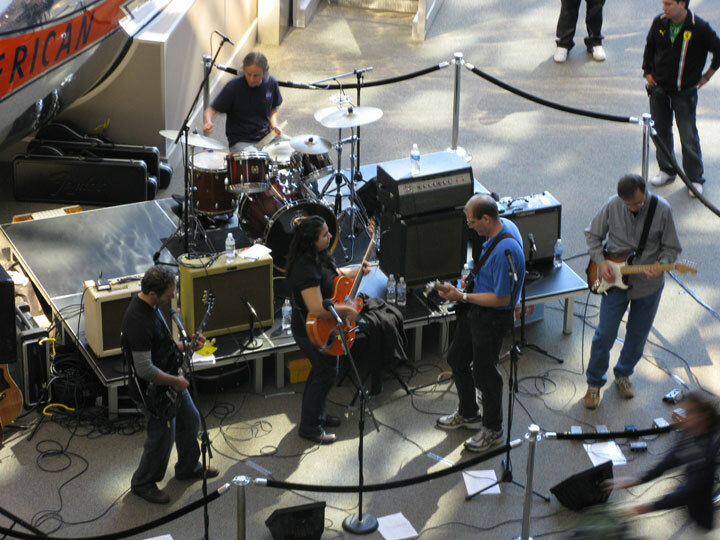 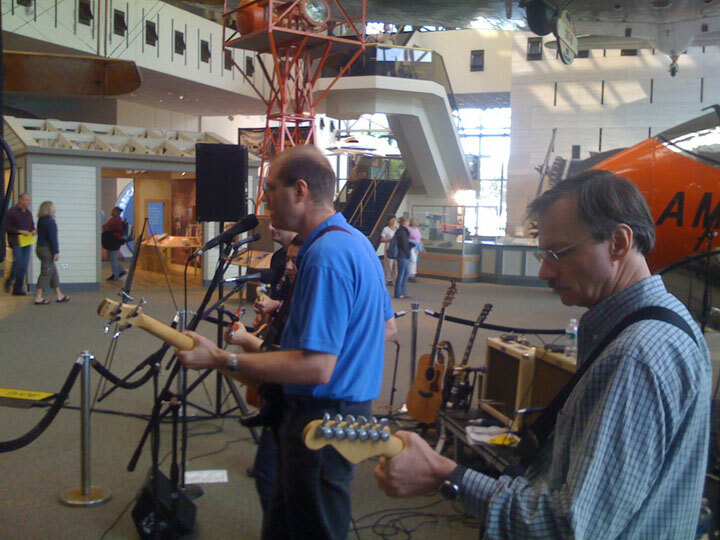 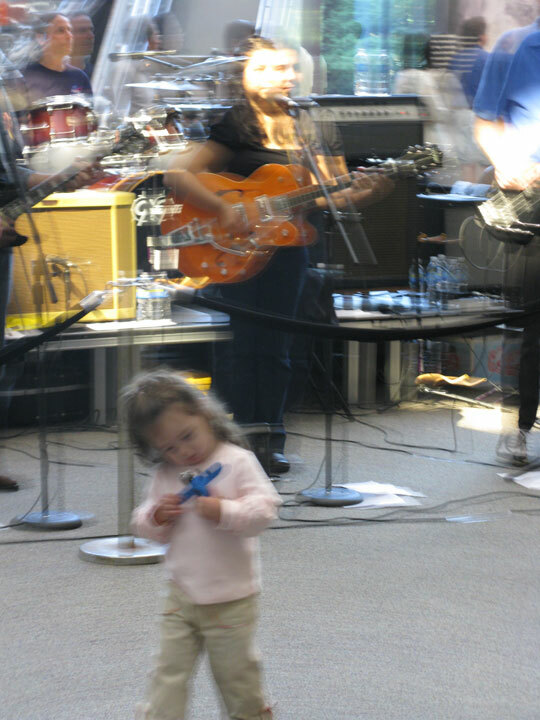 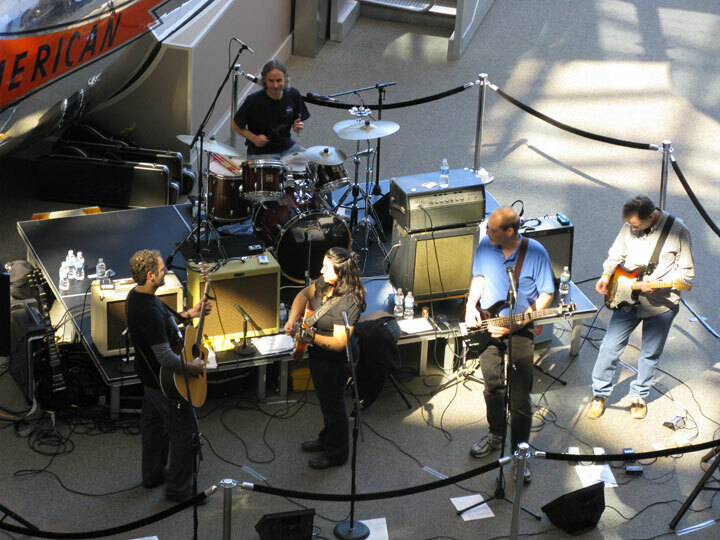 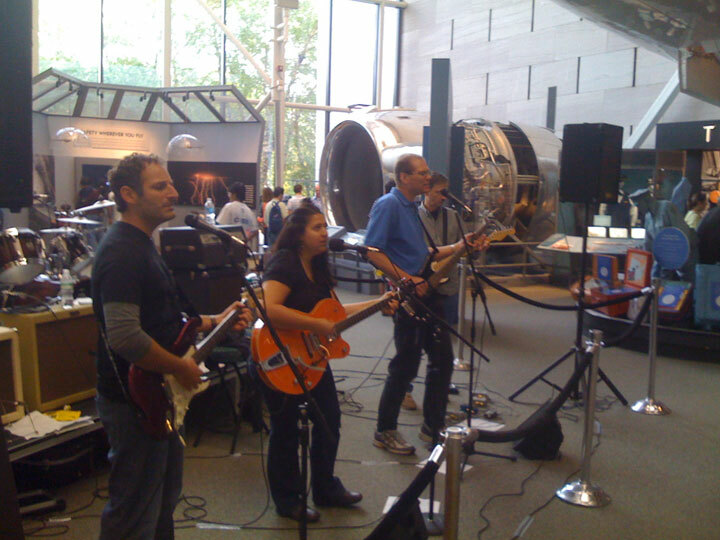 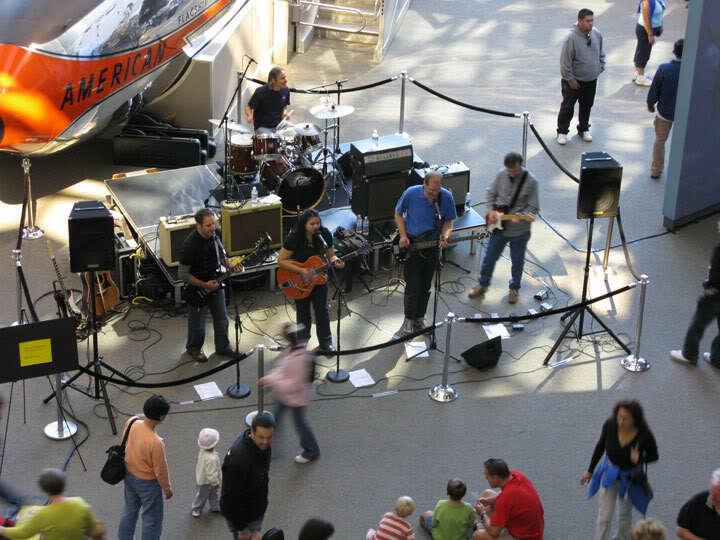 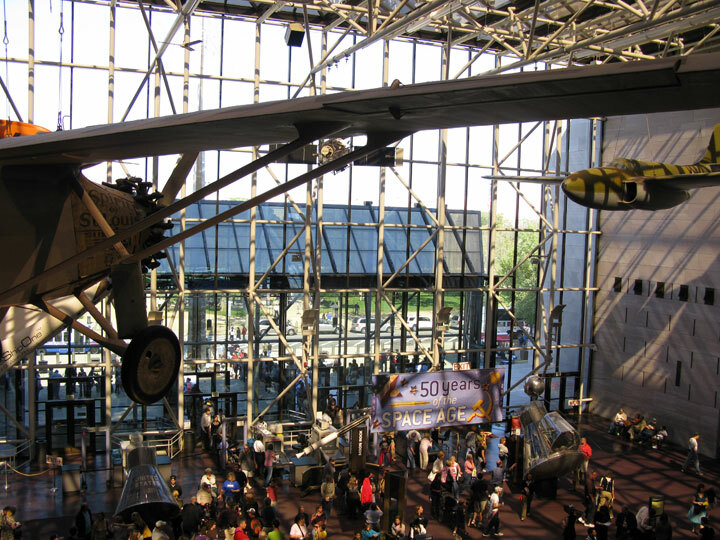 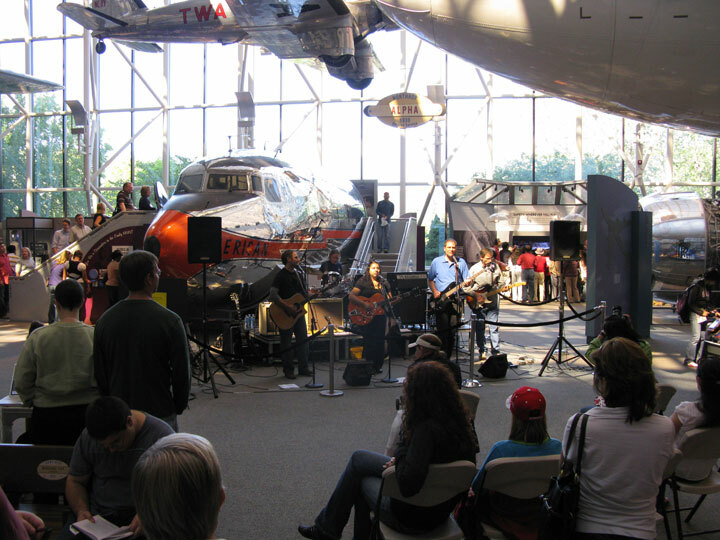 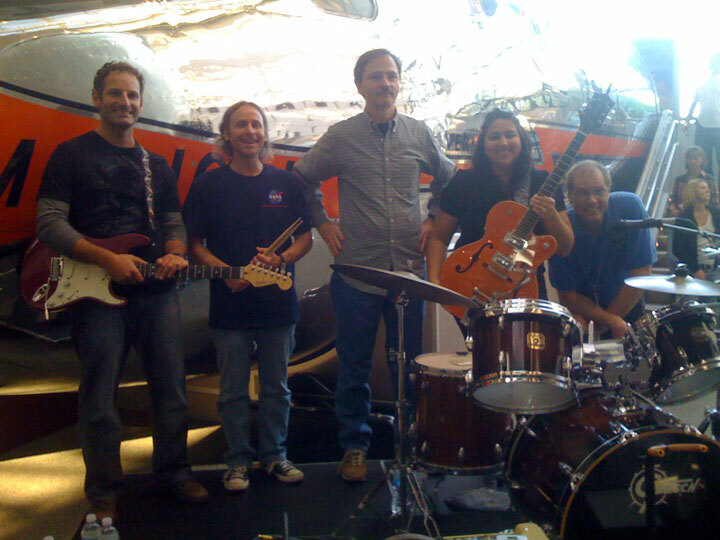 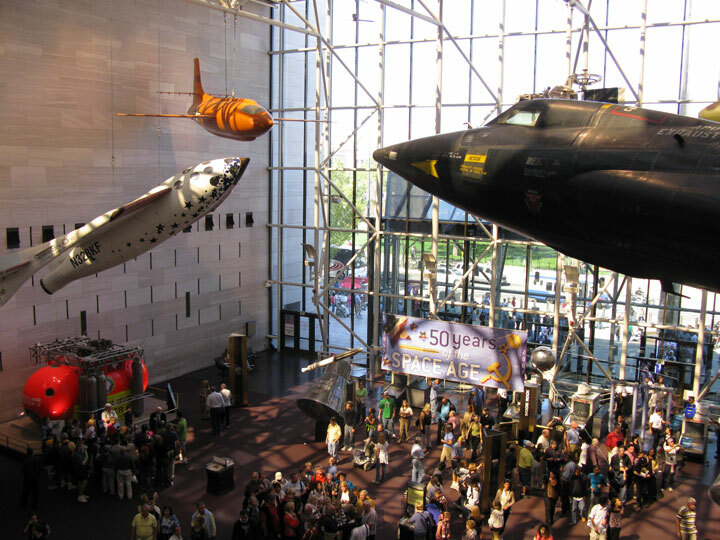 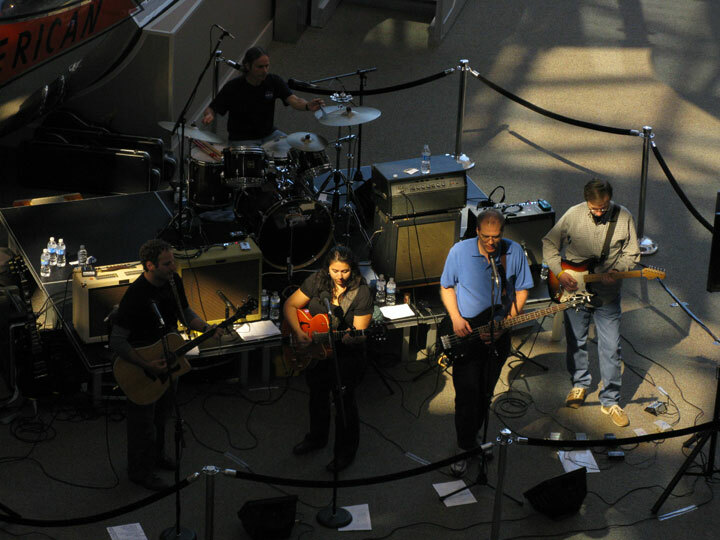 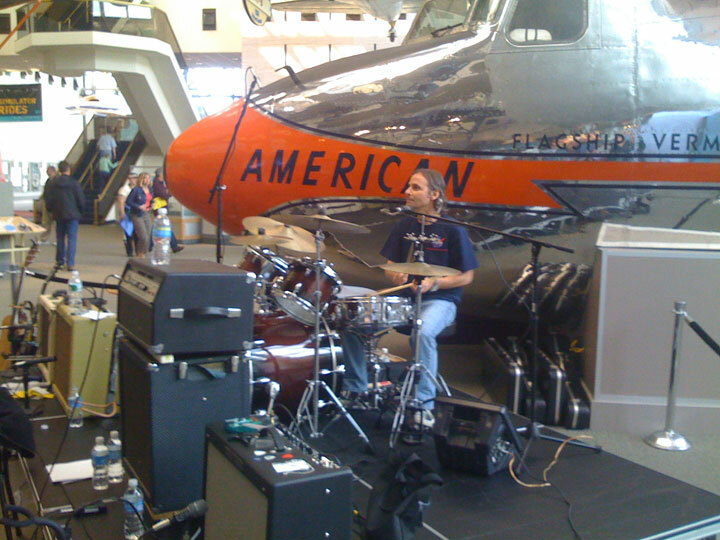 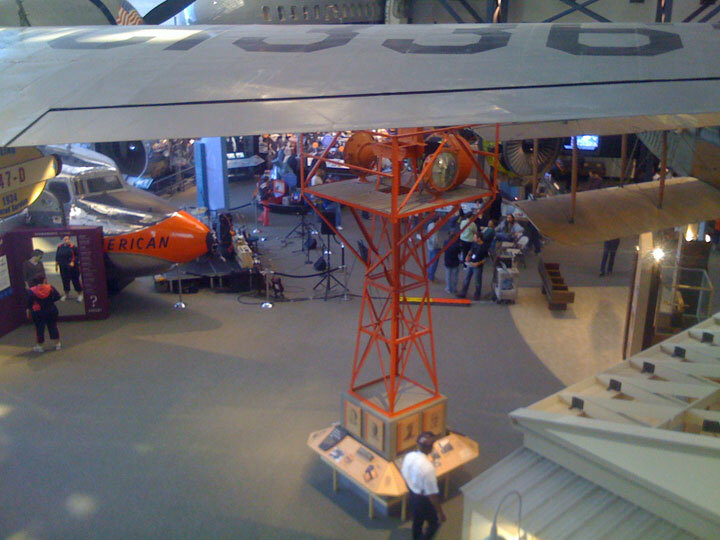 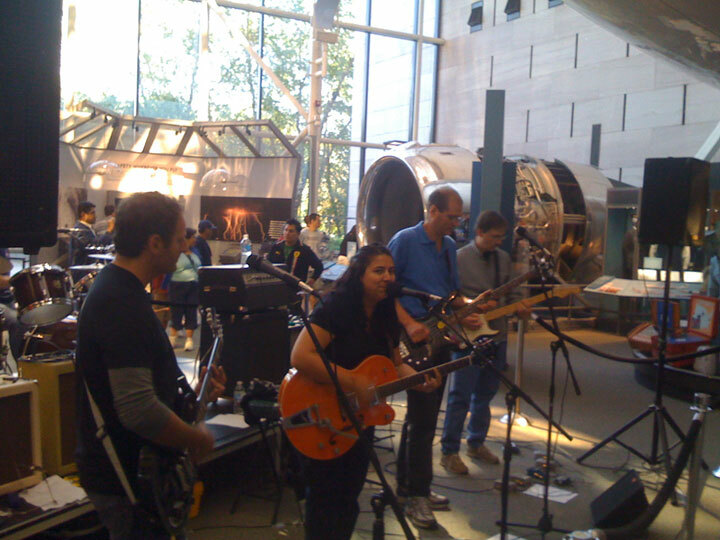 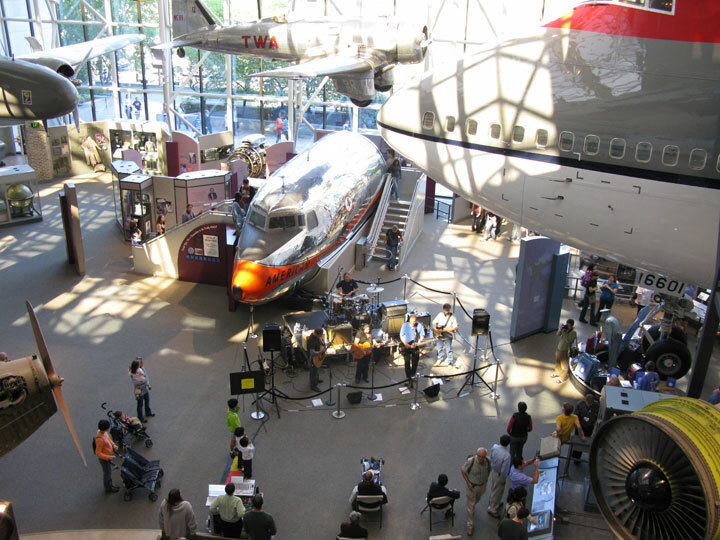 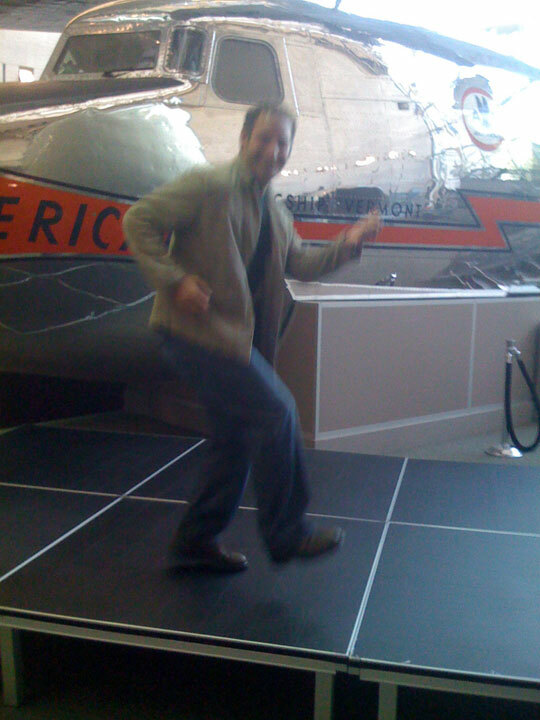 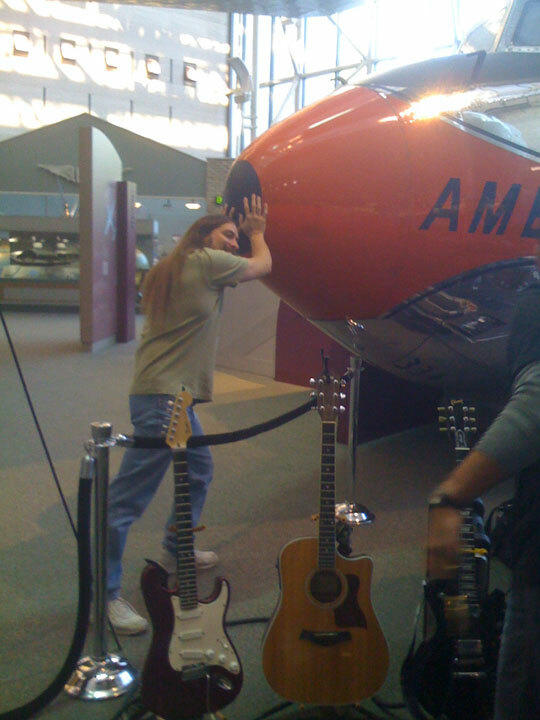 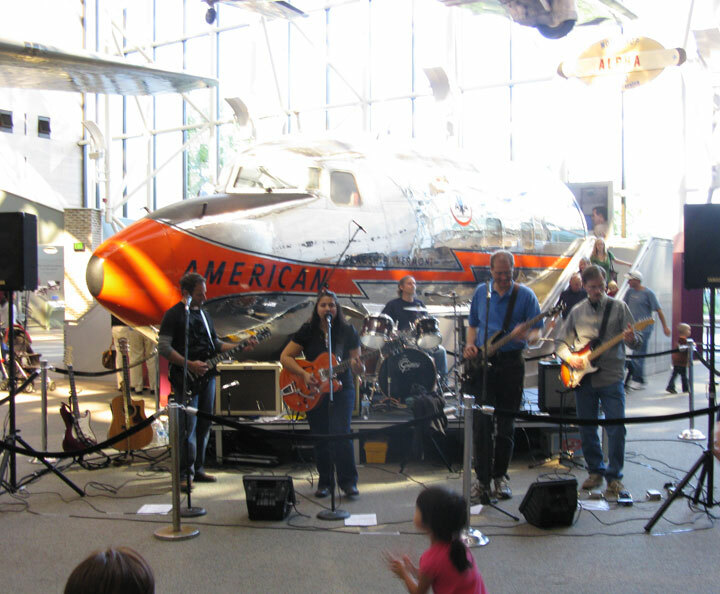 We were invited to play another Family Day at the Air & Space Museum in Washington, DC, and it was so much fun! 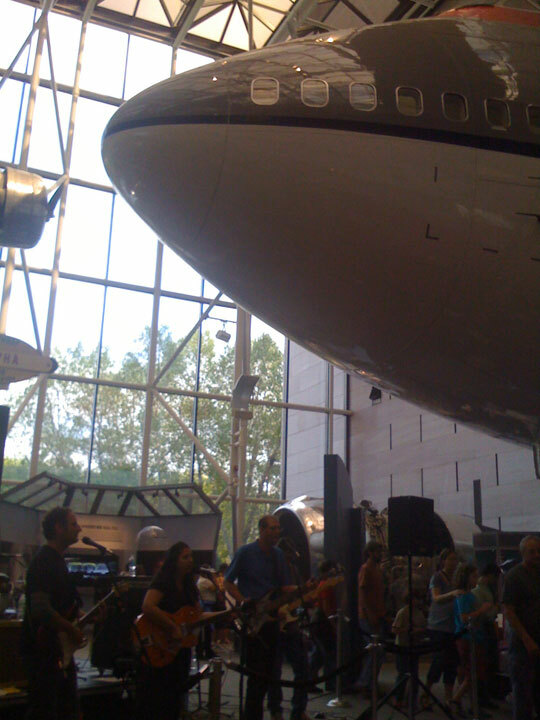 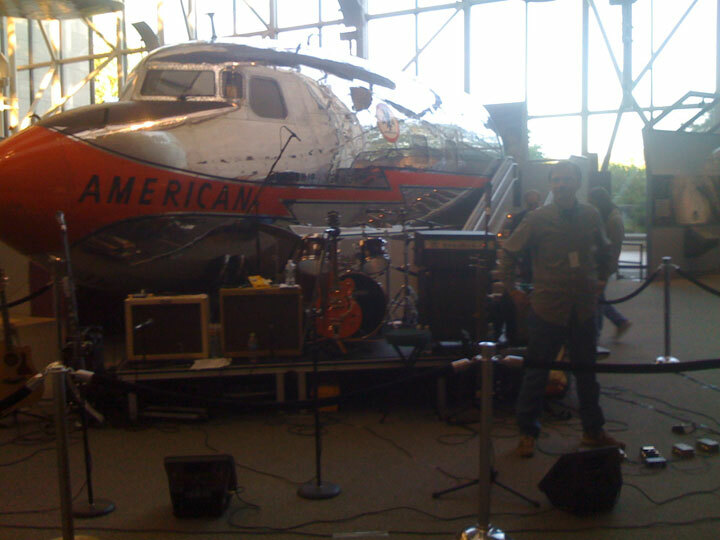 We were set up by the commercial aircraft stuff – which has gotten way more crowded than when we played there last! 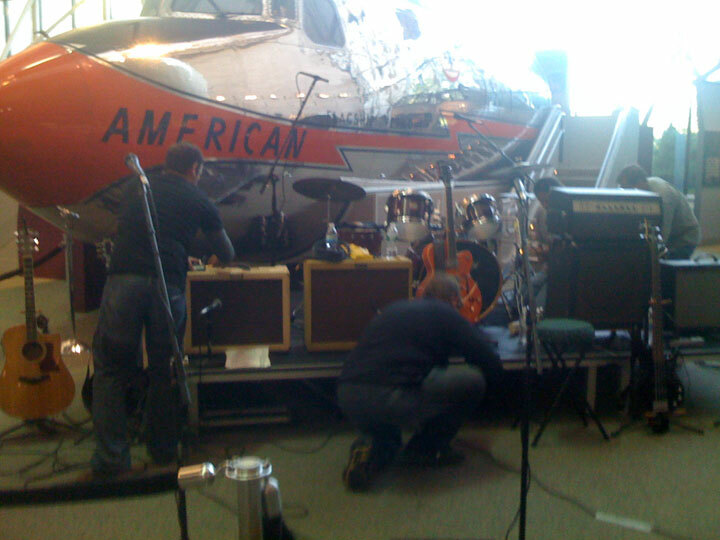 We did have a little stage though, which was nice – so we were able to put Rob’s drum kit up there as well as our amps. 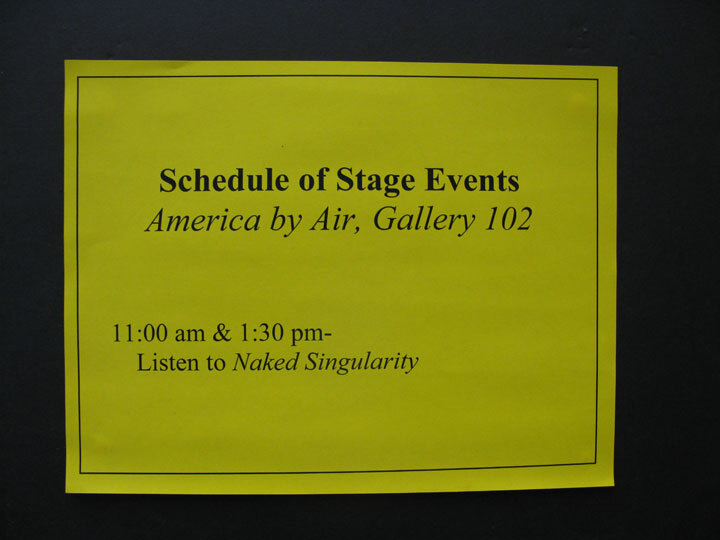 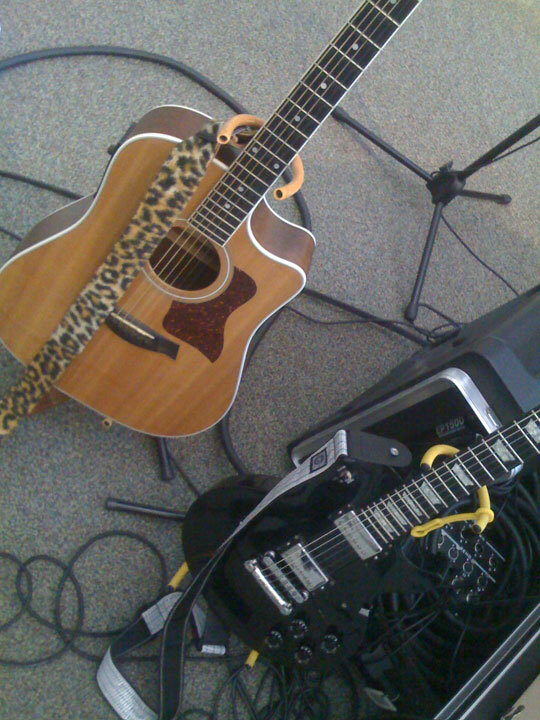 We played 2 one-hour sets. 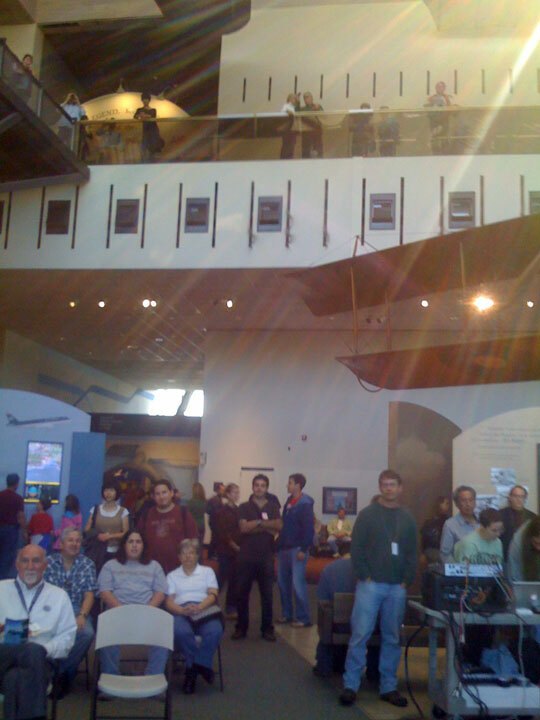 Our view of the audience – there were way more people than you see here – some of them had cleared out by the time I took this! 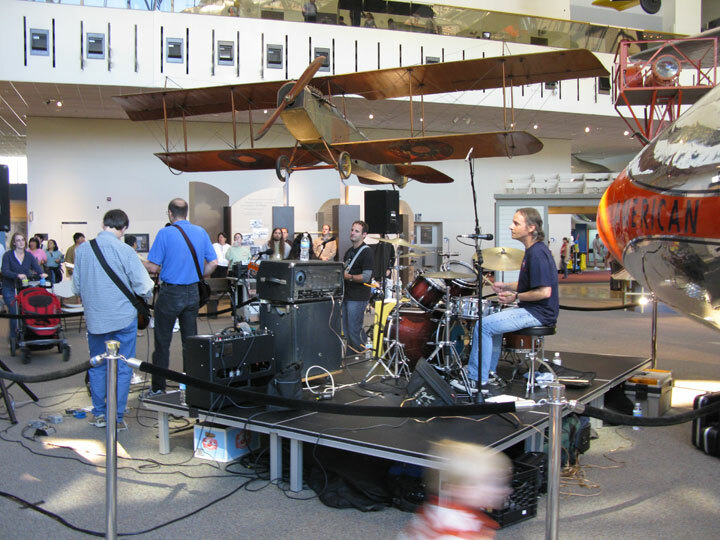 The audience would kind of come and go – it was pretty cool!